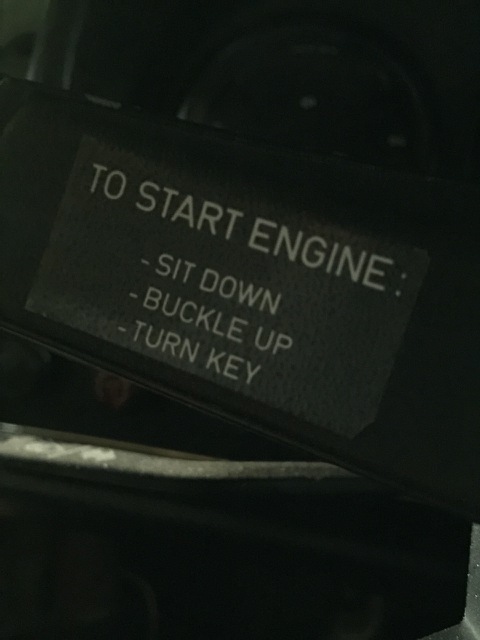 Ive only seen these starting instructions on 1 other car. I might look into reproducing the instructions for a concourse restoration. At first sight I thought it was just put on there by a previous owner. Nice. The only car I've seen in the wild with this sticker in place was the 3,000 mile yellow '75 sold by porboy a few years back. I wonder if this sticker was placed on all steering wheels or only on the later model years? Appeared after seat/seat belt safety switches and logic relays were added. Not correct on early cars. Unleaded fuel only sticker on combo gauge correct on 75-76. Its on my son's 1974 1.8. The car has nearly 92,000 miles on it so it was surprising to see it lasted this long. Were going to leave it but probably put a spare on the car for driving now. Thanks for the info guys. Unleaded sticker and EGR dash lights was California only. Nobody else was obligated. Came on all 1974-76 cars. Few stickers survive. I will add to the questions, although not about the sticker. Were there any other wheels that were original equipment? 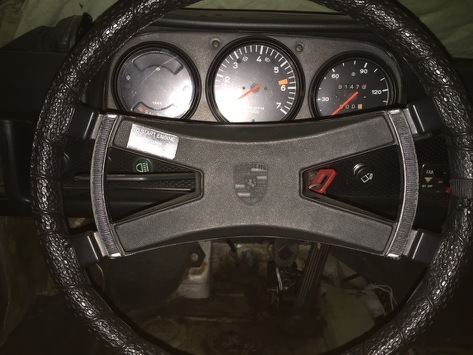 I have a Race Mark wheel on my '74 2.0 that seems like it has been there for 40 years. Just curious because I do not plan on changing it; it looks awesome and feels great. Thanks. I found the original start decal in the glove box of my '74....it was stuck to the topside of the box. I had it reproduced and reinstalled. It was on my Oly Blue, 1974. The way I heard it, that was first year of seatbelt interrupt. the ignition switch could still crank the starter, but there was no spark. SO the sticker was put there to stop people from wearing down the battery. FYI, Oly Blue, a 1974 1.8, fully documented from day 1, sold in Germany for over $50k. Very nice. Was that a recent sale?